Darrell, 74 passed away peacefully at home after a struggle with cancer. He was born to the late Isaac and Hazel Walters on June 28, 1939 in Mangum, Oklahoma. 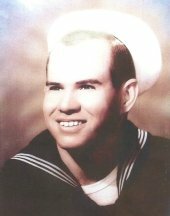 He graduated from high school in Ulysses, Kansas in 1957 and received his BA in Meteorology in the Navy. After serving 20 years, he retired in 1978. He then worked 20 years for the U.S. Postal Service. Darrell married Roberta “Bert” Tompkins in July, 1962. They celebrated their 50th anniversary a year ago. After retiring he and Bert travelled in their RV for a time and he loved commuting on his motorcycle when he worked as a security guard at San Onofre Power Plant. He loved to play poker, bowl, golf, square dance, play pool, camp and was always available to help anyone in need. Darrell was an active member of the Oceanwavers Square Dance club, North County Senior League Pool Players, and the good ole boys Friday morning golf group. He and Bert have been an integral part of the Rancho Calevero community for 20 years. Darrel was a genuinely sweet and humble guy, always open to making a new friend. He had a country sense about him that made him so likable, so charming. His loved his family: Bert, their son Dan, and daughter Tricia (married to Chris), and their grandchildren Kayla and Kevin with a passion, as well as a large extended family that included many, many friends who will miss him dearly. Interment was August 30, 2013 at Fort Rosecrans National Cemetery in San Diego.